Total cost of production per cwt., feed cost per cwt, net farm income per cow. These are important numbers for every farm as they monitor profitability, develop and monitor risk management plans and look for opportunities. These are also numbers that allow one farm to compare their production and financial management with similar farms. How does your farm stack up against all of your competition? Against all farms your size? Against the top 20 percent (based on return to assets) of both groups? These are not difficult questions to answer if you become involved in the National Farm Benchmarking project this year. 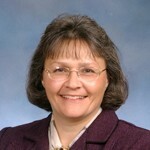 Ohio is participating in this project led by the Center for Farm Financial Management at the University of Minnesota. 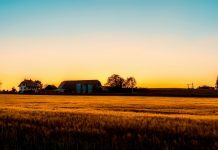 While Ohio regularly contributes some farm data to the national database, we have the opportunity to expand the number of farms participating in financial analysis this year. Through grant funding from the National Farm Benchmarking project, we are able to offer a full 2010 financial analysis, including enterprise analysis to 100 farms. Many of these will be dairy farms, but other types of farms are also welcome to participate. Analyses will be completed by either Extension or Farm Business Planning and Analysis personnel. Participants in the project will work with their Extension or FBPA consultant to complete their farm’s analysis by June 2011. Maintaining each farm’s confidentiality is critical and farm analyses are coded before submission to the database where data is only shared as group summary data where individual farms are not identifiable. 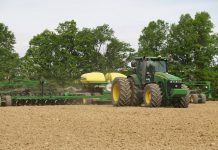 In July, Ohio’s farms are invited to participate in a meeting to review Ohio’s farm business summary and learn how to use an individual farm’s analysis, Ohio’s data and the national database to enhance their farm’s financial and risk management. Take a few minutes to look at the FINBIN database which can be found at www.finbin.umn.edu/. 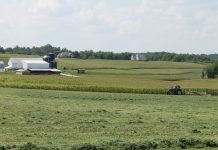 We invite and encourage you to participate in Ohio’s dairy summary for 2010. This is a prime opportunity with the benchmarking grant covering the $600 per farm cost of analysis. Questions? Contact me at 330-257-3377 to discuss this opportunity and to locate an Extension educator or FBPA consultant near you who can help you get started on your farm’s analysis.